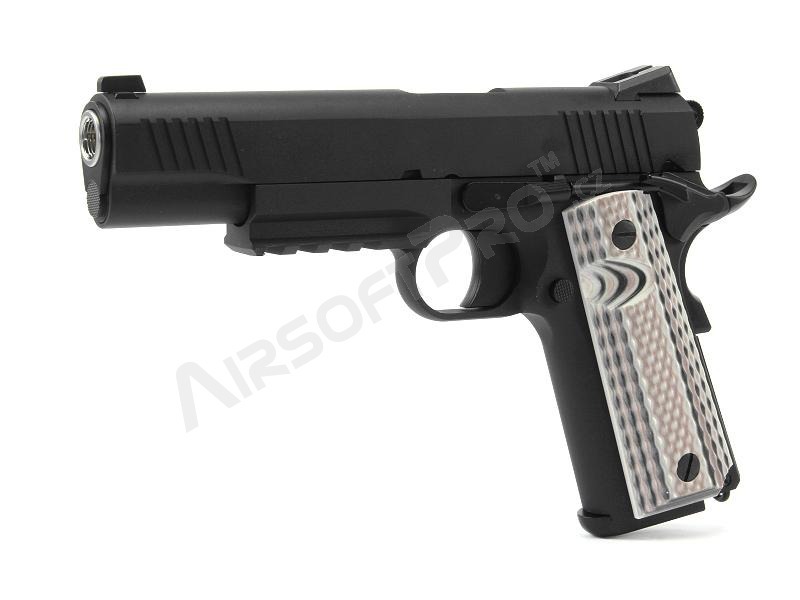 Description Colt M45 A1 is gas blowback pistol. 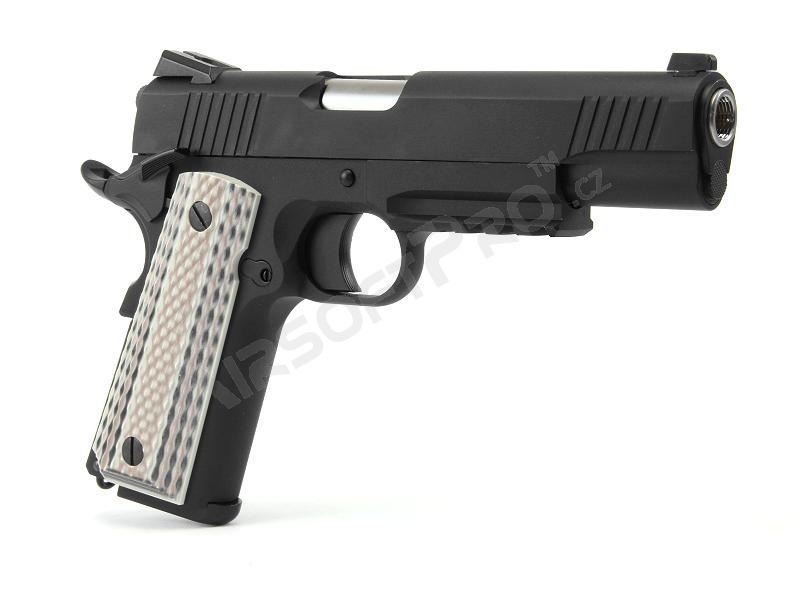 It is modernized version of Colt 1911. 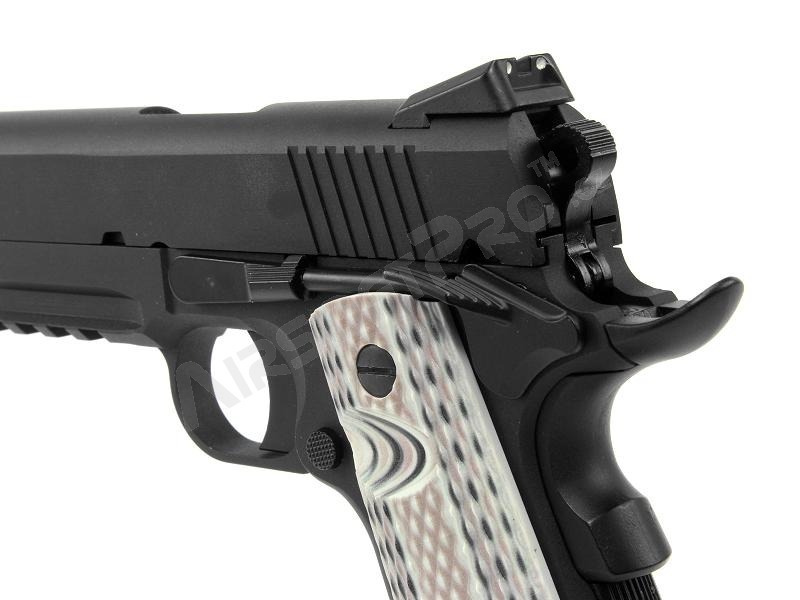 The weapon has a shaped grip, which makes it very comfortable to hold. 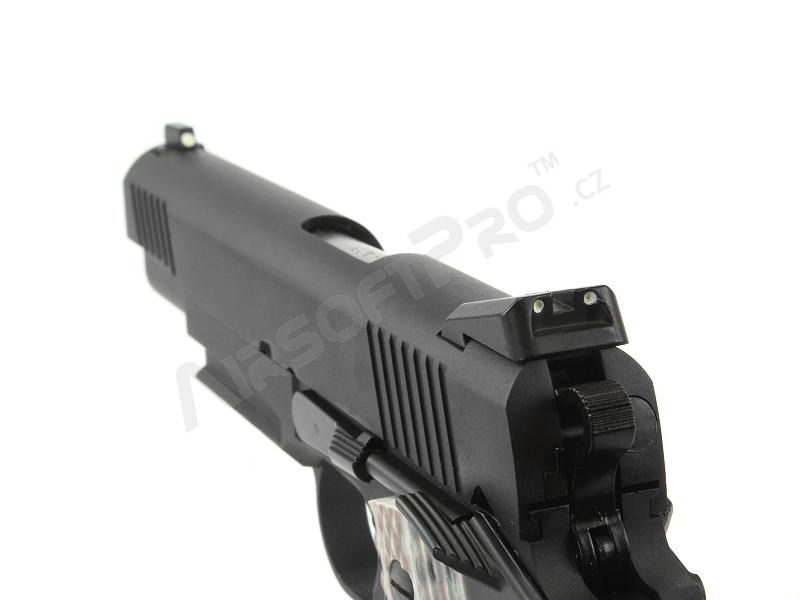 In addition, it has a RIS system for a flashlight or a laser. Sights are highlighted with white dots. The weapon breakdown is the same as the original. 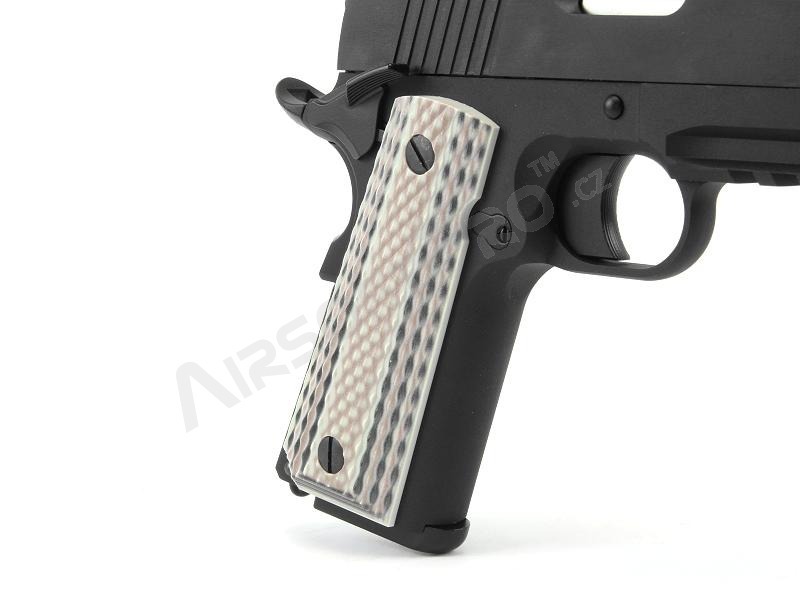 Colt has an adjustable hopup. 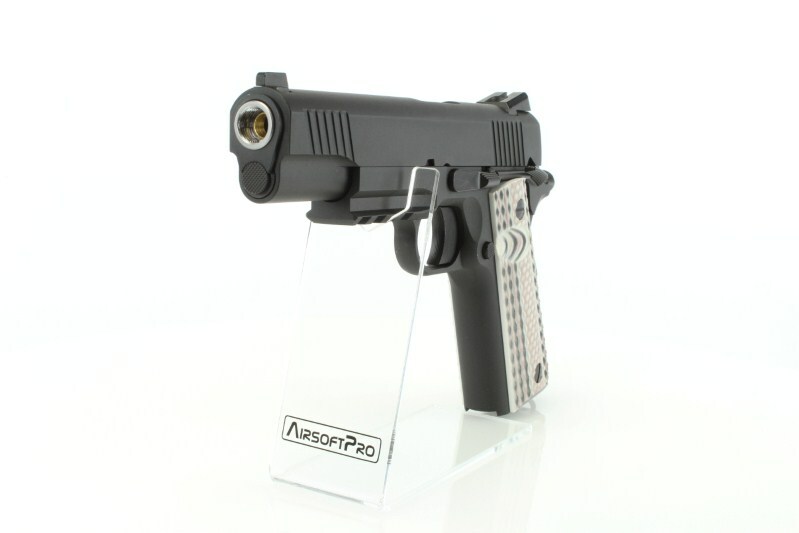 Capacity of the magazine is 15 rounds. 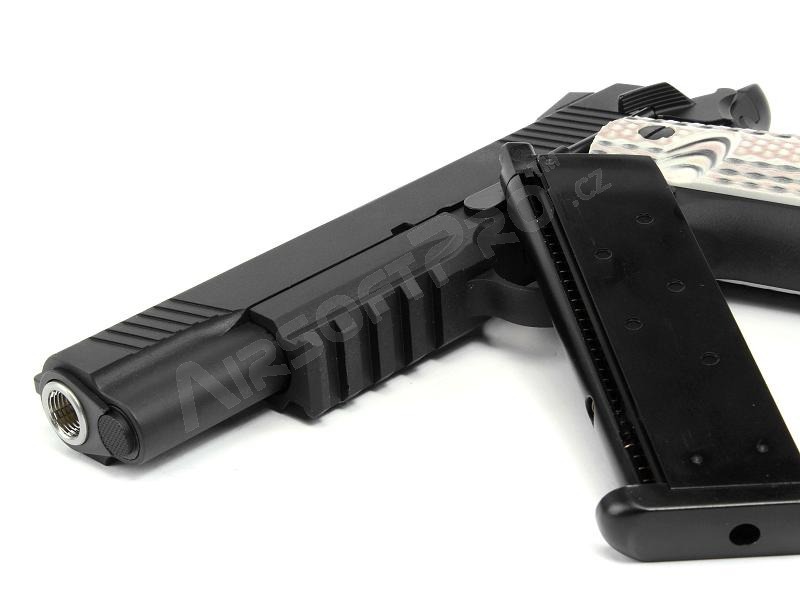 Since the early 80's, WE-Tech had been the premiere developer & manufacturer of steel molds for many major airsoft companies for more than 20 years. 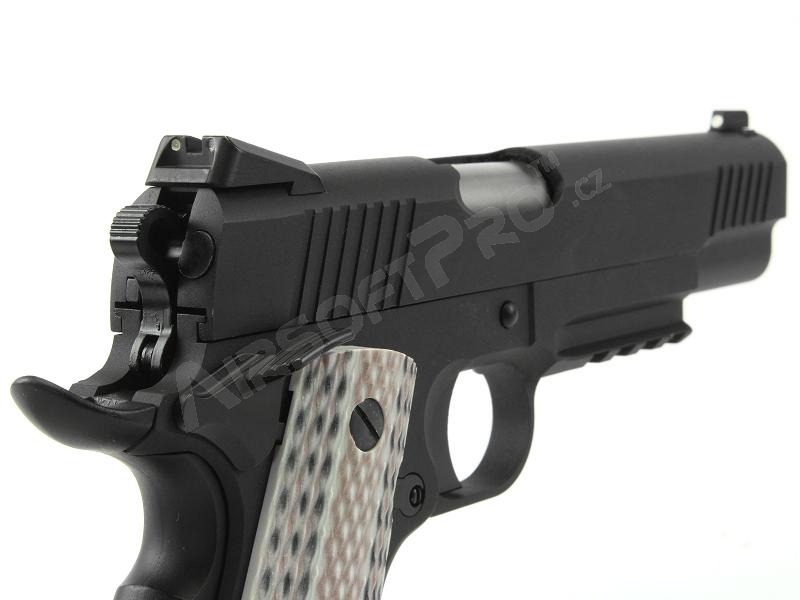 With the ever growing airsoft market comes WE-Tech reputation as being one of the foremost maker of steel molds, thus laying the foundation for our own excellent line of airsoft products today. 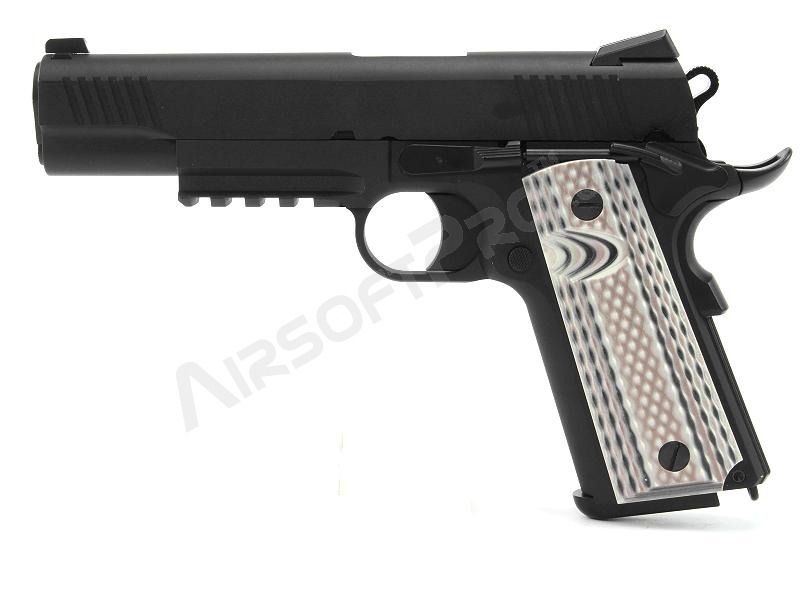 In 2003, WE-Tech launched first line of gas blowback pistols and have never look back since. 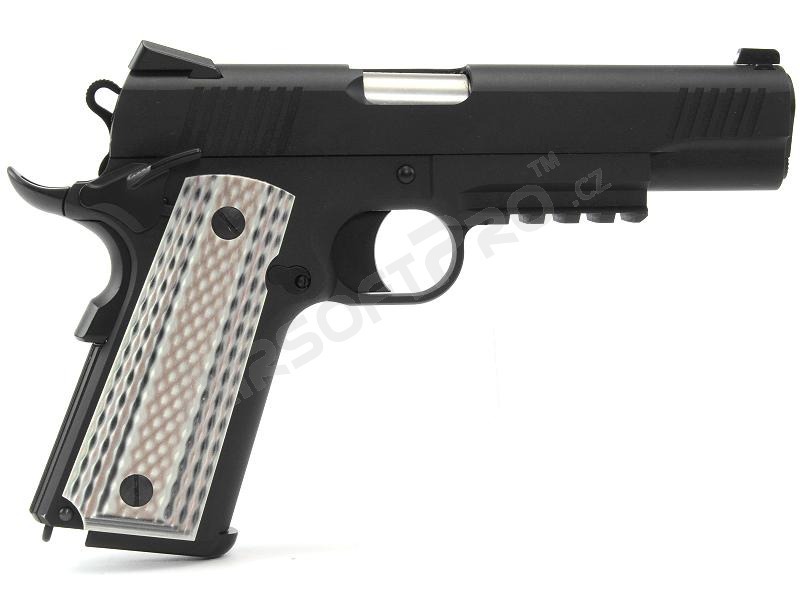 From being a professional steel mold manufacturer over 30 years ago to creating own line of full-metal airsoft pistols and rifles, the journey has been tough, but satisfying. The combination of experience, skills and the relentless pursuit of excellence is what define WE-Tech in the airsoft industry today.